Build lean muscle mass and burn body fat: In this video bodybuilder and fitness model Rob Riches teaches his high intensity interval cardio and abs circuit, and shows how he switches up classic exercises to further challenge and develop a winning physique. "It's actually the upper chest that creates the illusion of having a full, thick chest." 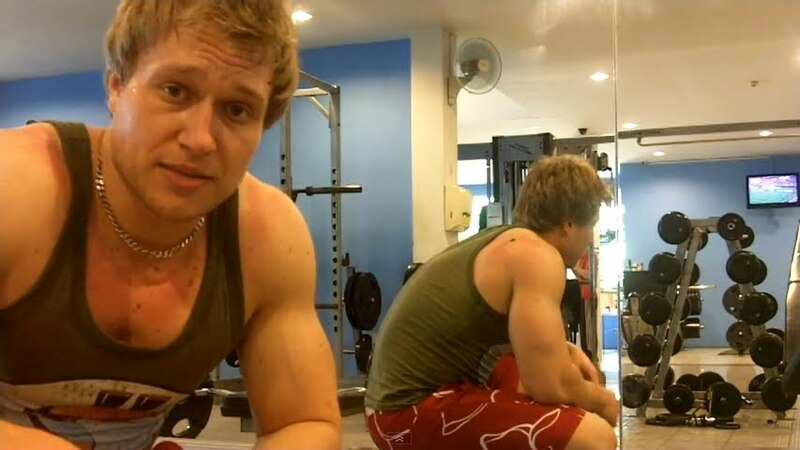 Teen bodybuilder Nick Wright explains many more things to know when demonstrating his comprehensive chest routine with his partner Luke Hayden in this video. He's been on a huge number of magazine covers and in workout spreads, in underwear ad campaigns, on TV and is one of the most well known models online: The one and only Phil Fusco. Phil was initially presented to All American Guys many years ago when he was barely 18, however he wasn't quite ready for prime time. Fast forward several years and the New York native has come a long way and has made his mark in the world of fitness and fashion model. You find many high quality photos and videos with Phil Fusco here on AAG. Stunningly sculpted: Bodybuilder and fitness model Filip Jurka has trained hard for his new high quality photos and videos, now published here on CzechYoungMuscle. The GregPlitt.com Members Section contains 126 videos, including 36 instructional workout videos, and is updated weekly ($9.95 a month for full access). How to make dips harder: Fitness model Nick B. adds 160 lbs, and thus doubles his body weight. 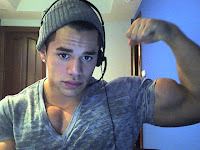 You find many high quality photos and videos with Nick B. here on AllAmericanGuys. Alternative and more intensive exercises: seated dumbbell curls and lying incline curls. 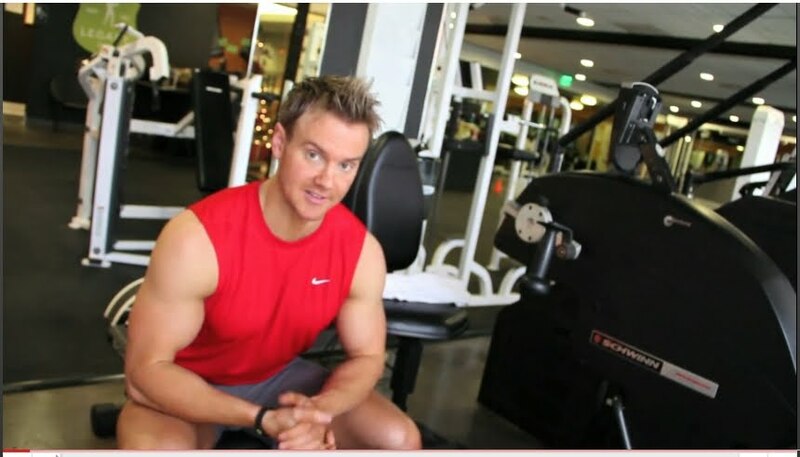 This exercise works the biceps and the forearms. 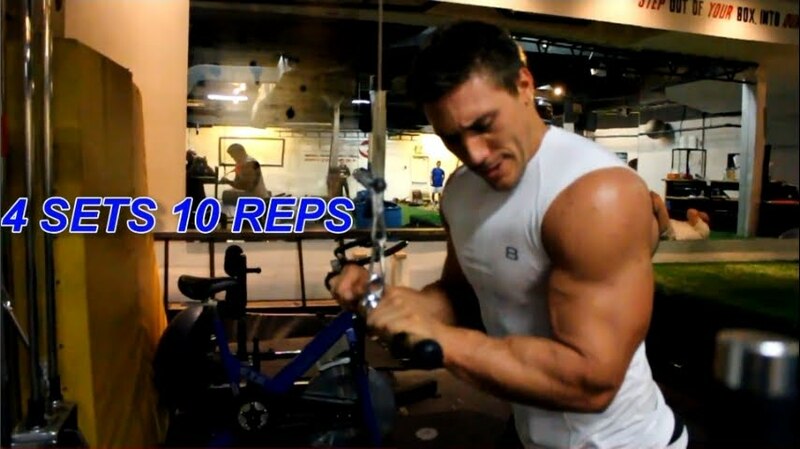 This exercise works the shoulders, and especially the front delts. This exercise works the complete shoulder. Alon Gabbay flexes on CamWithHim (name: Six Pack). How I started: I started working out when I was 11 although I had already been wrestling for 5 years my dad had me doing push ups every time I died in the video game I was playing. I would do about 50 to 100 push ups a day and by the time I was in 8th grade I could do 100 push ups in a row. Why I love it: I love it because I am 100 percent natural and with saying that I wanna make my family proud one day knowing I do not take drugs and would never disappoint them if they saw me in a magazine, they would rather be happy knowing I am drug free and that is the way I want to be forever because I am so thankful for my genetics. How I stay motivated: I stay motivated by knowing I'll never hit a plateau, knowing how I use Muscle Confusion to my advantage to grow at a rapid pace I cannot wait for years to come and see my body transform. Goal (Long): * One goal of mine is too eventually become a big name in the natural bodybuilding world to let everyone know that without drugs you can still reach the impossible * Another goal of mine is to become a fitness model/ model and to show off the body i work really hard for, hopefully someday ill have that chance. More muscle, more definition: Fitness model Thomas C. is in excellent shape on his latest photos, now published on AllAmericanGuys. 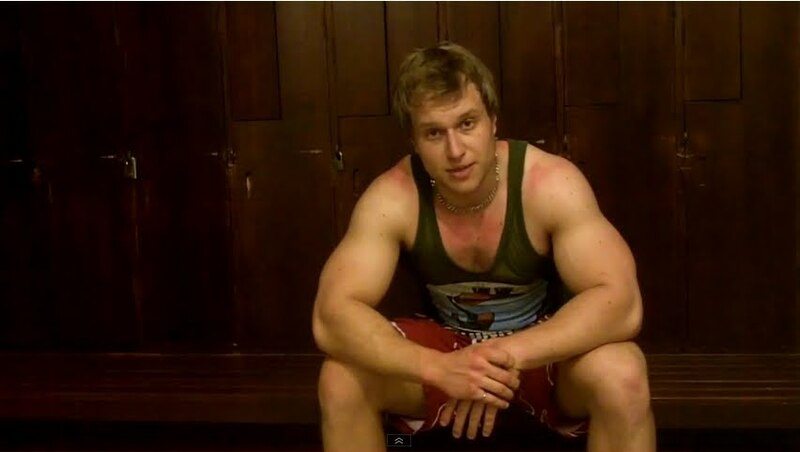 You can follow Thomas C's intensive training in the gym in several videos here on AAG. Who wouldn't like to have a bicep like his? Bodybuilder and powerlifter Tuan Tran shows and explains how he effectively works his biceps with dumbbells in the video below the pictures. The GregPlitt.com Members Section contains 123 videos, including 35 instructional workout videos, and is updated weekly ($9.95 a month for full access). He is probably the most famous AllAmericanGuy. 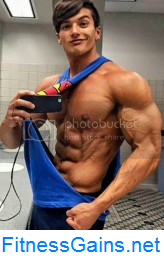 Now 18 never before seen x-large images of Josh Ohl have been published, showing the legendary fitness model in his best shape ever. You find all of Josh Ohl's high quality photos and videos here on AAG.